Save lives and make money up to $90/week! Now through June 2nd, BioLife Plasma Services is running our Platinum Program, where donors can receive $20 for their first donation of the week, and up to $70 for their second donation of the week! The process of donating plasma only takes about an hour, and impacts more lives than you can imagine! Never donated plasma with BioLife before? 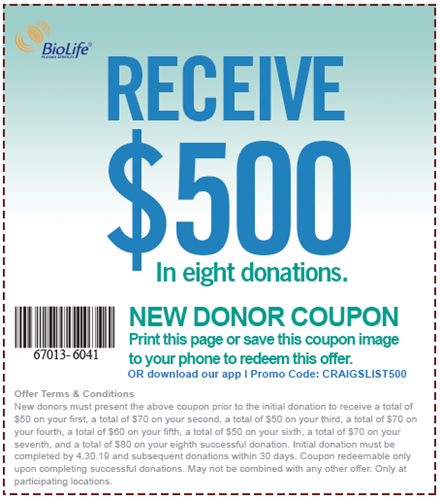 Check out our $500 New Donor Coupon valid until the end of April 2019!